I had no idea that my threat to reveal my parents’ inn-keeping stories would get such an enthusiastic response. Given that it did, I decided to strike while the iron is still hot. I’ve been telling my own stories about the inn since I was nine years old. 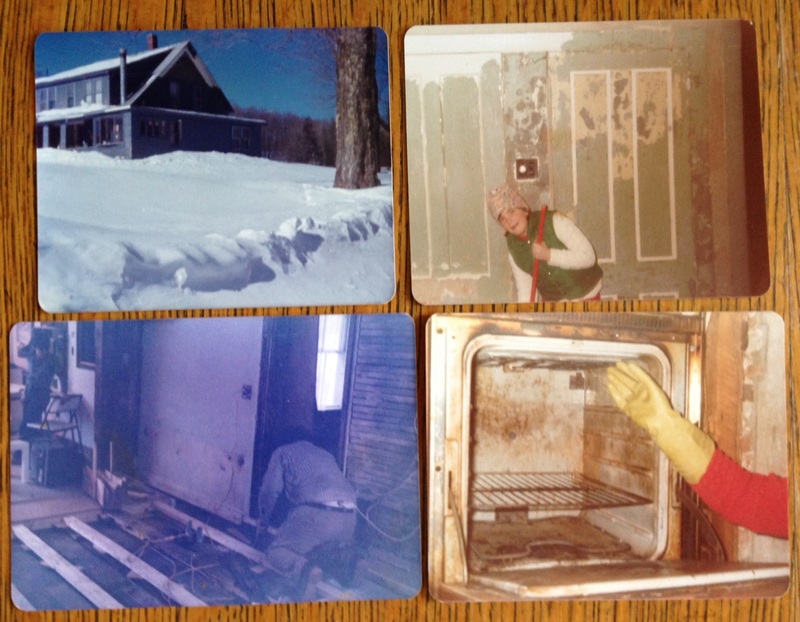 This post includes some of my memories from those first few days in March of 1978, when we first moved into the inn. Next time, I’ll follow up with recollections from that same period, from my parents, innkeepers Ruth and Bill. Last time, you were left with the image of me crying in the car, not wanting to come to grips with the reality that, after all, I wasn’t moving to the Snow Mansion on the hill as I’d been fantasizing I would. Instead, our new home was a decrepit and, frankly, filthy, old farmhouse that was several years removed from its glory days as a vibrant and beautiful working farm. That is was at the gloomy end of a long winter when we took possession didn’t help matters, since the property seemed even more barren in the ice and snow. My father lured me out of the car and into our new life by promising me that it would be like camping. And, in the beginning, it really was. Since the inn was not going to be livable until the garbage was removed and it was properly disinfected, the six of us — our family of five and my dad’s sister, who was co-owner of the soon-to-be Combes Family Inn — took up residence in three of the motel rooms that the previous owner had built as outside units, separate from the main house. These had been the previous owner’s main source of income, particularly during ski season. Our family project was to turn the main farmhouse itself into a beautiful inn, filled with guest bedrooms and common rooms, in addition to upgrading the motel rooms. My parents moved into room number three, while my brothers, Billy and Wayne, shared room number two. My beloved Aunt Nancy and I shared room number one, which was closest to the main house. I adored my Aunt Nancy. Before she lived with us at the inn in Vermont, it was always the highlight of my summer to spend time with her. Over the years, she had taught me how to make beds with hospital corners, how to cook scrambled eggs with cheese and how to play various card games, “rummy 500” being my favorite. This arrangement lasted for the two weeks it took all of us to clean out the farmhouse. Day one after the move, brother Billy was already loving the new adventure, because mom gave him a crisp twenty dollar bill to clean out a particularly nasty cupboard. He still recalls this story fondly. I, on the other hand, don’t remember about the cleaning phase—I’m sure I’ve put all that nasty business out of my mind! However, I have two strong recollections about those first few days. My other memory of that period was my recognition that Dad was right, it really was like camping. My Aunt Nancy told me stories at night in our motel room before we went to sleep, which reminded me of being around a camp fire. And, since we weren’t yet able to use the kitchen inside, there were many nights that we heated up dinners camp-style, on a little hot plate, and ate them in the motel rooms. So it was that despite my initial reluctance to step out of that car and into our new life, all of my memories about the start of the incredible adventure called the Combes Family Inn are fond and happy. Good stuff. Always a lot of interest in inns in Vermont. Bob Newhart had nothing on the Combeses! Looking back I think that the relief of finally finding an inn made us accepting of all the hard work while keeping our sense of humor and positive attitude. After all, our kids were not flat Landers…only their father was.